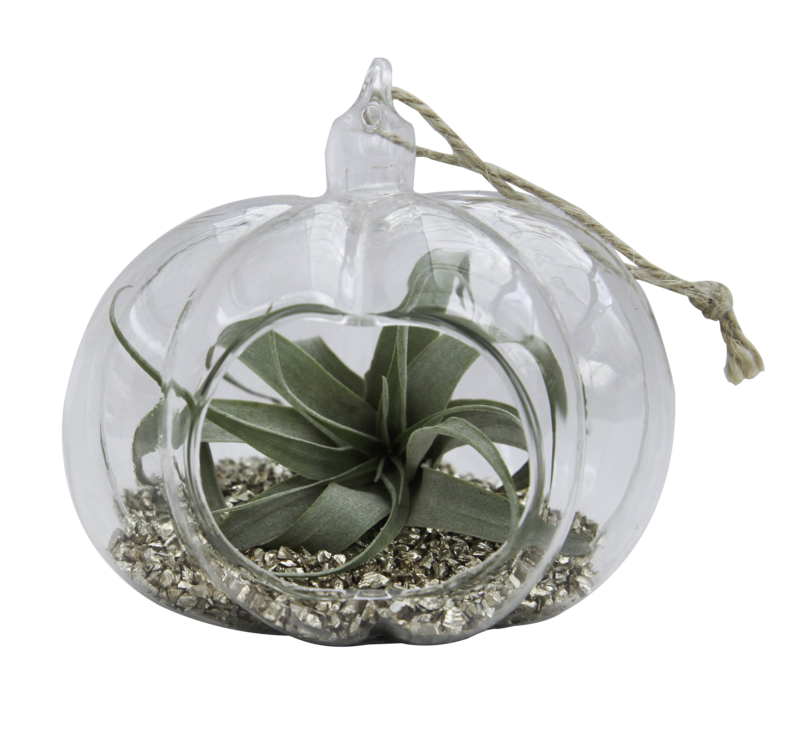 These pumpkin-shaped glass terrariums serve as an elegant nod to the Fall season. The gold accent from the rocks create a neutral color palette that easily transitions from Halloween to Thanksgiving. Pairs well with the Halloween Ceramic Succulent Planters to complete the seasonal look.